The deputy mayor of Hargeisa, Hon. Abdiasis Agaweyne on Saturday has debunked speculations that spread like wildfire in Somaliland where the mayor of Hargeisa has officially transferred his duties and applied for asylum in Sweden. 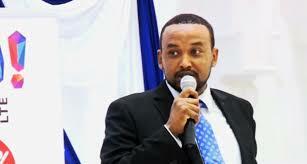 Mr. Abdiasis has said that the mayor has traveled to Addis Ababa, the Ethiopian capital where has led delegation and is discharging his national duties. He stated that the news was false and added that the mayor will return to Hargeisa today.